Self-catering holiday accommodation on the West Coast of Scotland for people wishing to escape the rat race and spend some quality time in beautiful surroundings. Short breaks available all year - 3 night minimum stay. Dog friendly. Welcome to The Smithy House - The Byre. 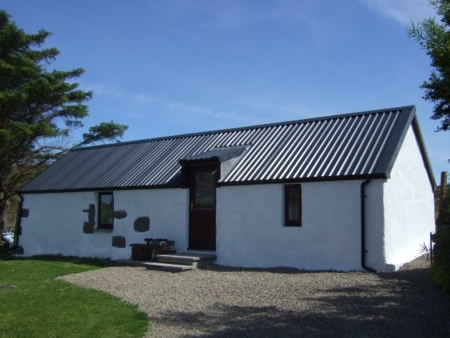 A self-catering holiday cottage in Stoer by Lochinver. Located in Sutherland in the Northwest Highlands of Scotland on the North Coast 500 road, Scotland’s answer to Route 66, the new route showcasing the fairy-tale castles, beaches and ruins. We are situated North of Lochinver and Ullapool, and approximately 2 hours north of Inverness - in a beautiful Highland setting surrounded by some of the most beautiful and unspoilt landscape for which this part of Scotland is famous..
Great accommodations for people wishing to escape the rat race and spend some quality time, where you can relax and recharge or explore the surrounding fishing and crofting communities and take advantage of the Highland's natural splendour, food and culture. We offer 2 different cottages at The Smithy House - the Smithy and the Byre. All are detached from each other but within the same 2 acres of garden and croft. See About Us for more information on each of our holiday homes. Short breaks available all year - 3 night minimum stay. Dogs friendly.